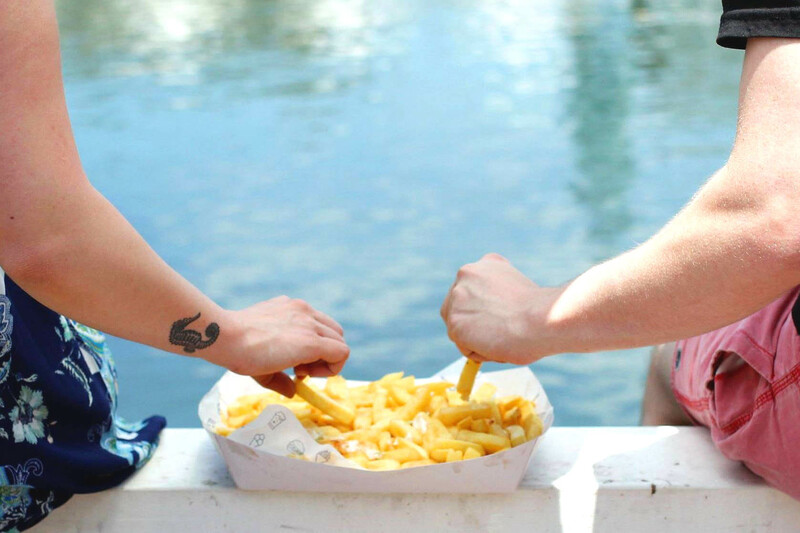 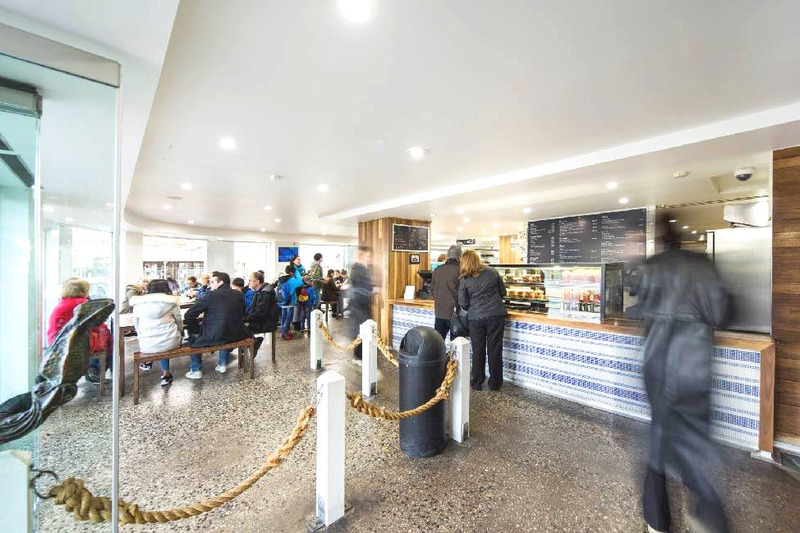 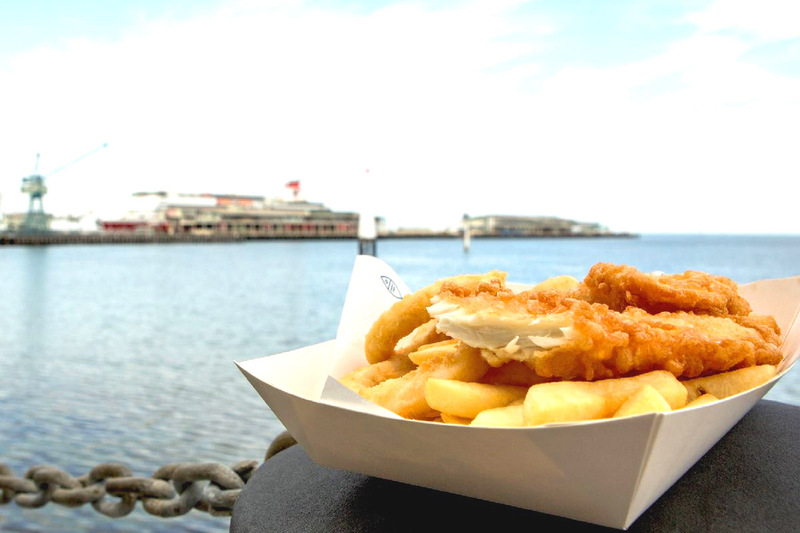 Located at the end of Station Pier in Port Melbourne, D’Lish Fish is arguably one of the city’s best fish and chips venues. 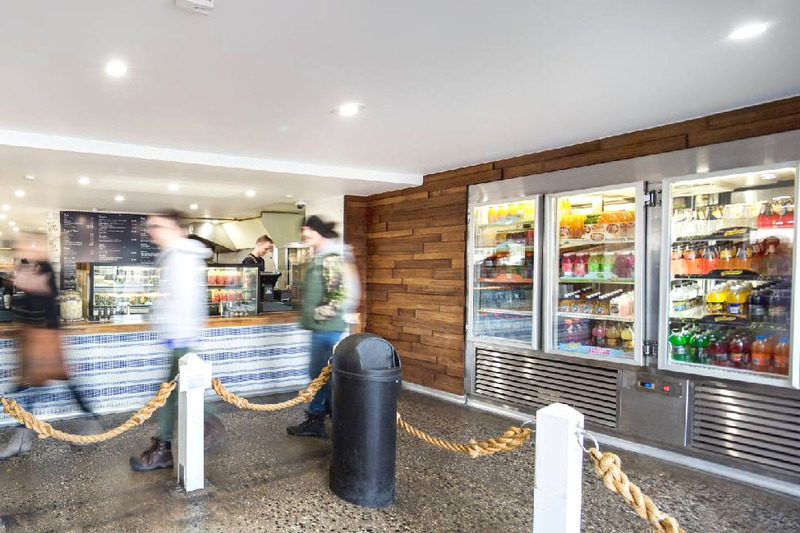 Serving fish and chips, burgers and souvlaki, this little shop offers a wide variety of savoury meals. 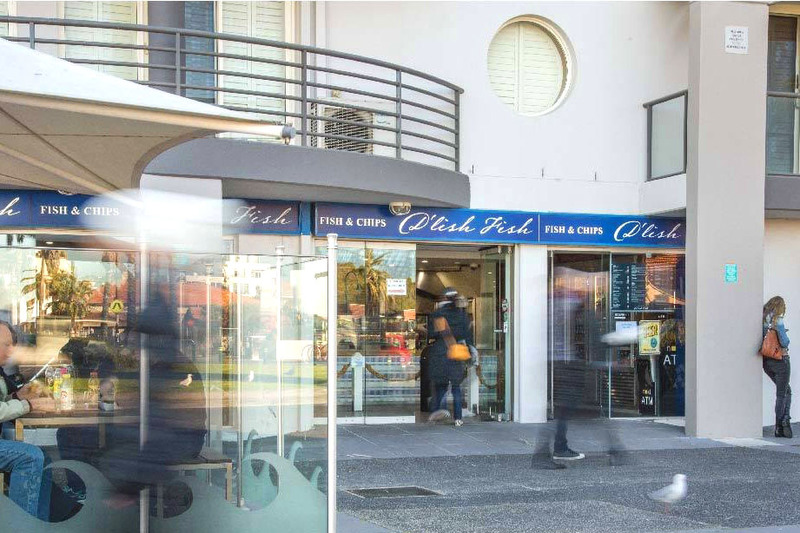 However, D’Lish Fish is also known for its sweet treats, with menu items such as Nutella Balls and Mars Bars in Batter. 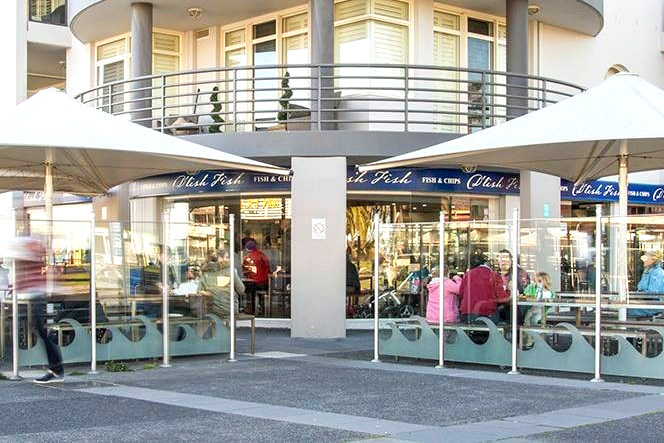 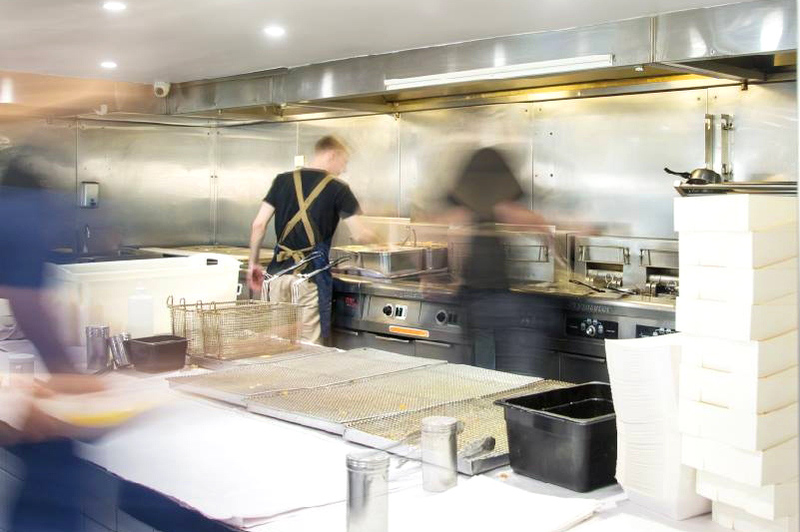 Home to some of the finest seafood in Melbourne, this Port Melbourne eatery will not disappoint. 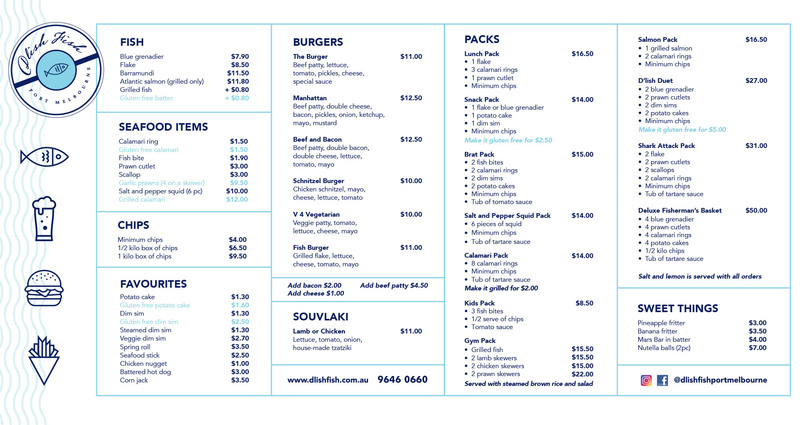 Contact D'Lish Fish via the contact form provided or by the phone number, email & web address below the form.